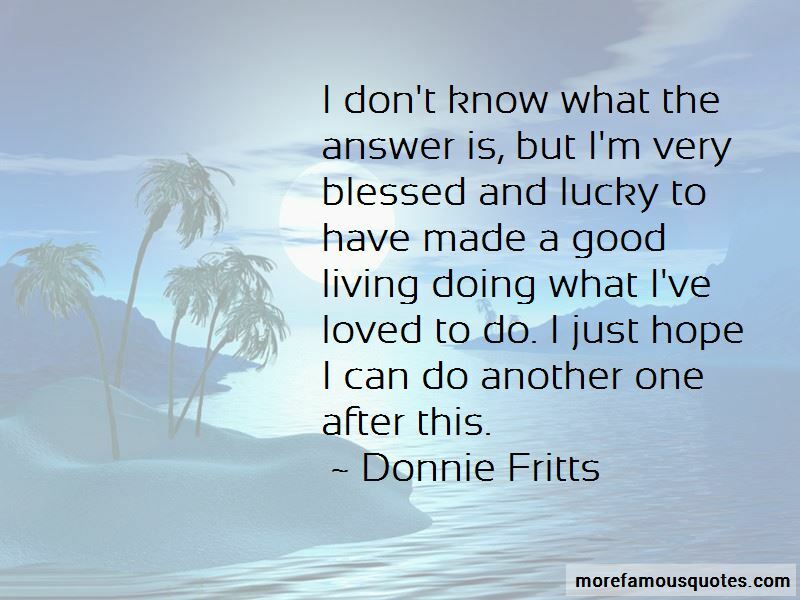 Enjoy the top 13 famous quotes, sayings and quotations by Donnie Fritts. The guys that I played with, Hollis Dixon and the Keynotes - just about all the great musicians from Muscle Shoals.We played fraternity parties and kids' dances. They were called "lead outs" for kids in high school. We played wherever we could - in the down time when you weren't recording, people had to make money. John Paul to give me a shot, I'll never forget as long as I live. I went to visit a friend of mine, a writer name Troy Seal, a songwriting fool. He's had a ton of hits. He said, "I've got a thing I'm stuck on." ï»¿I can hear the wind a blowin' - he already had that. You and me lord, we had it all. ï»¿He only had that first verse. For some reason he was stuck. But that's how that came about. I was wanting to do an album but I didn't know if I was really ready. Jerry Wexler was one of my closest friends and allies, like my godfather. He said, "Let's do an album." I couldn't sing worth a damn, but there were some good songs. 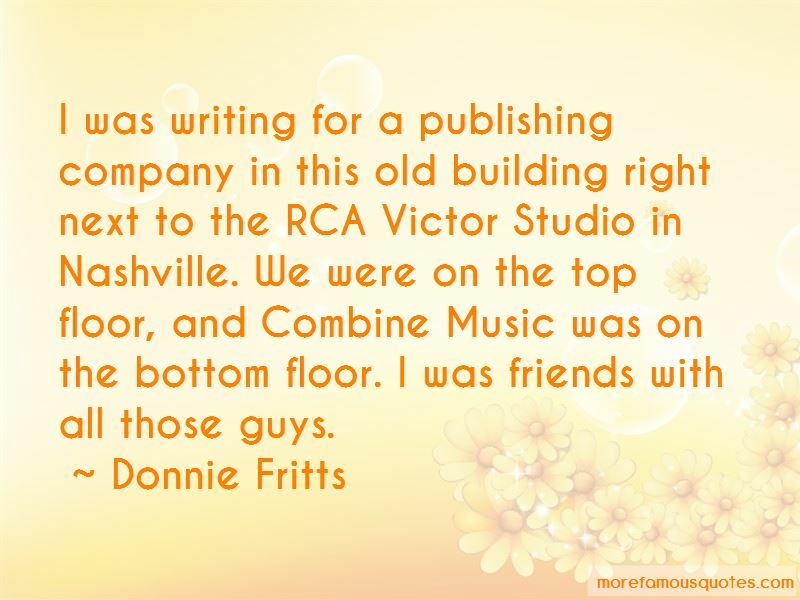 I was writing with different people in Nashville - whoever I could. Eddie Hinton came on the scene about 1963, and about four years later we wrote a ton of songs together. I drifted around, but Eddie and I had some cuts through the '60s and '70s. I went on the road with Kris Kristofferson in 1970. 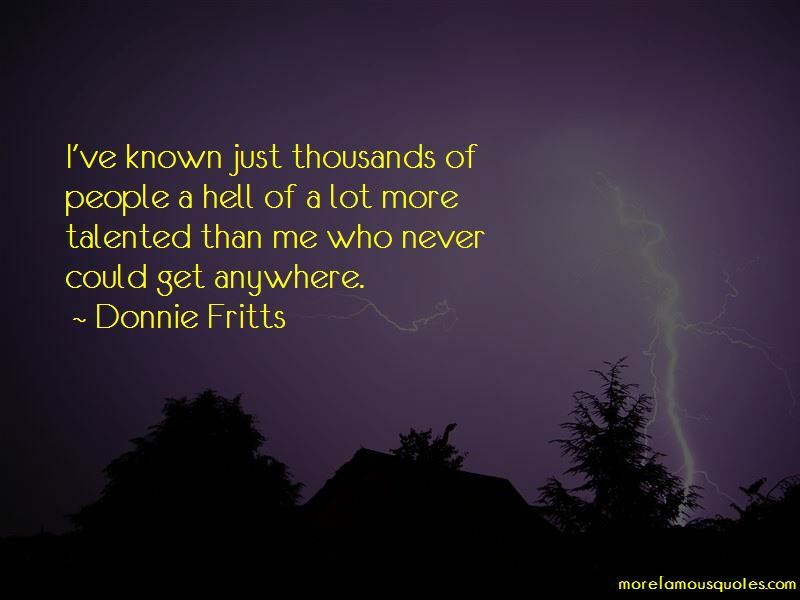 Want to see more pictures of Donnie Fritts quotes? 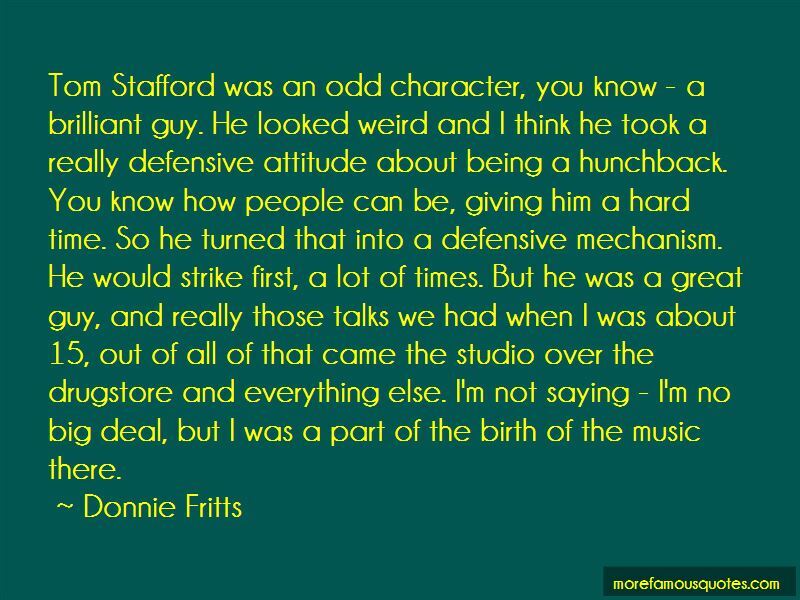 Click on image of Donnie Fritts quotes to view full size.